Kangar, 28 February 2013 – Vimal Auto-Liner Sdn Bhd, the first Honda 3S Centre in Perlis today held a grand opening for its authorized Honda dealership which offers Sales, Service and Spare Parts under one roof. Vimal Auto-Liner invested RM10 million into its brand new Honda service centre with the aim of providing efficient and professional services to its customers in the northern most state. Shah Alam, 27 February 2013 – Scania CV A.B., a leading manufacturer of heavy trucks, buses and coaches, marine, industrial and power generation engines, today announced that it is now offering financial services to its customers in Malaysia. Offered through Scania Credit (Malaysia) Sdn Bhd, a fully owned subsidiary of Scania CV A.B., Scania financial services is a flexible and comprehensive financial solutions package which provides diversified financial services such as hire purchase and leasing for acquisition of trucks, buses and other related products to qualified Scania customers. .
Shah Alam, 26 February 2013 – Naza Euro Motors today unveiled the highly anticipated Citroen DS5 and DS4 at its newly launched Citroen Glenmarie 3S centre. 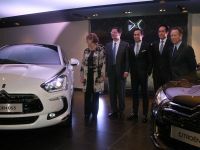 The Citroen DS5 and DS4 are the first models to be launched by Naza Euro Motors following its appointment as the official distributor for Citroen in Malaysia in January and signals the beginning of a new era for the brand in Malaysia. Subang Jaya, 21 February 2013 – Edaran Tan Chong Motor (ETCM) is confident that Nissan, a brand that the iconic company has helped grown in Malaysia since 1957 will continue its stellar performance this year. Shah Alam, 21 February 2013 – Honda Malaysia Sdn Bhd today unveiled the highly anticipated improved CR-Z which features a host of enhancements. 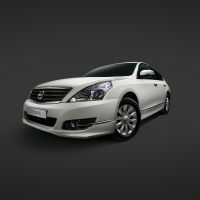 The world’s first sport hybrid vehicle is now sportier looking with enhanced styling in exterior and interior design. With its distinctive shape and looks, the CR-Z has received numerous recognitions locally last year, including the Autocar ASEAN Car of the Year, Autoworld Judge’s Choice, and Best Hybrid Model Awards for both publications. Kuala Lumpur, 21 February 2013 – Following the successful launch of Mercedes-Benz Services Malaysia (MBSM) in November 2012, providing automotive finance and insurance solutions, MBSM now takes one step closer to the customer by expanding its digital footprint with its new iPhone and iPad App “myMBFS – Malaysia”. 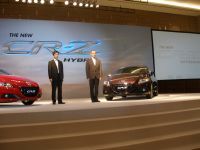 Kuala Lumpur, 20 February 2013 – Naza Euro Motors is set to unveil the highly anticipated Citroen DS5 and DS4 on Feb 26. The Citroen DS5 and DS4 are the first models to be launched by Naza Euro Motors following its appointment as the official distributor for Citroen in Malaysia in January. 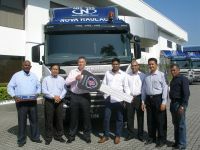 Petaling Jaya, 19 February 2013 – For the third consecutive year, Malaysian-built Isuzu trucks have earned the distinction of being the country’s best-selling light-duty trucks. Petaling Jaya, 7 February 2013 – Honda Malaysia Sdn. Bhd. (Honda Malaysia or the Company) today hosted a jubilant media gathering to celebrate the achievements of the Company which rose stronger in 2012, from the challenges faced before this. With the theme “The Future Starts Now”, Honda Malaysia also gave a sneak peek into its aggressive plan for 2013. Selangor, 7 February 2013 – AB Volvo has signed an agreement with the Chinese vehicle manufacturer Dongfeng Motor Group Company Limited (DFG) to acquire 45% of a new subsidiary of DFG, Dongfeng Commercial Vehicles (DFCV), which will include the major part of DFG’s medium- and heavy-duty commercial vehicles business.